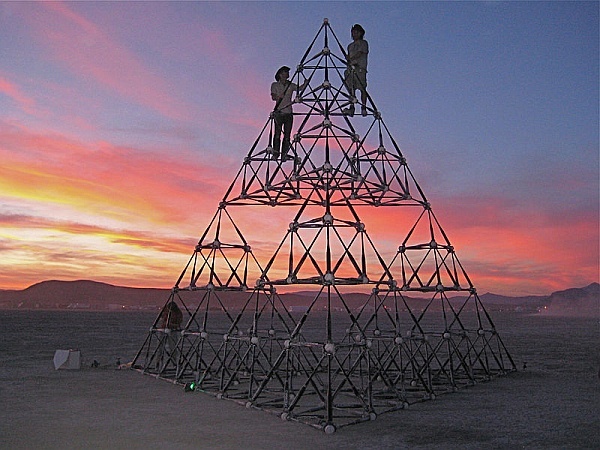 The Sierpinski tetrahedron is so elegant that it has inspired many people to construct it in many materials. 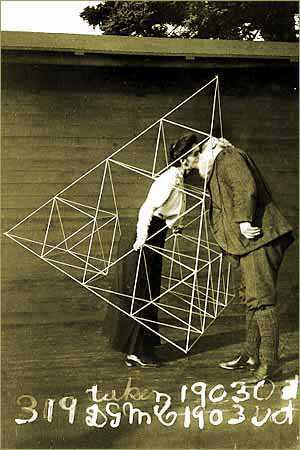 Alexander Graham Bell made giant kites with wood frames of this form. I love this geekly romantic photo of him kissing his wife in one. version by Wayne Tousignant, Darren Stanley, and Thomas MacKay. And above is a 22 foot tall sculpture Bat Country by Gwen Fisher and Paul Brown, made of 384 aluminum baseball bats bolted together. 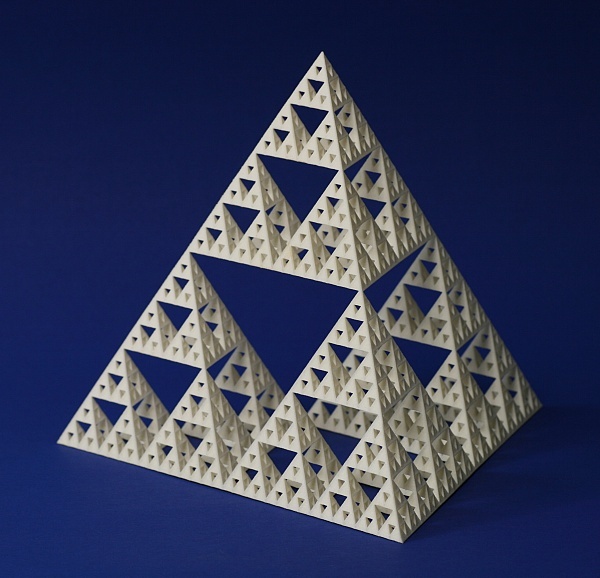 Why not see what materials you can use to make your own Sierpinski tetrahedron? 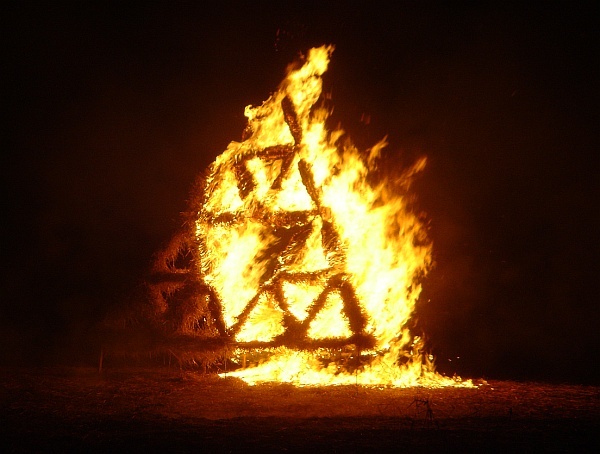 This article first appeared on Make: Online, February 22, 2010.